Solitary confinement is the deep and dark end of the prison system – alternatives must be sought for dealing with children and young people and those with disabilities in our prisons, writes international expert Dr Sharon Shalev. That’s how John McCain, the late United States senator, experienced solitary confinement as a prisoner of war in Vietnam. It does not require a great leap of imagination to reach the conclusion that for vulnerable people including those with intellectual or mental disabilities or young people, who have often had difficult and troubled lives, the experience of being in solitary confinement in prison is likely to be significantly more traumatic and damaging. I very much welcome the announcement that the Victorian Ombudsman will investigate the use of solitary confinement for young people. Earlier this year the ombudsman published her investigation into the treatment of “Rebecca”, a woman with significant lifelong disabilities which deemed her unfit to stand trial, who was nonetheless imprisoned in conditions of strict and extended solitary confinement for more than 18 months. This followed Jesuit Social Services’ important report All Alone: Young Adults in the Victorian Justice System, which suggests that young adults may be disproportionately subject to solitary confinement in Victoria. Some prisoners are held in solitary confinement for very long periods, and there is insufficient accountability and transparency in the system. There is no doubt that effectively managing disruptive people and protecting vulnerable ones in prison is no easy task. In 25 years of visiting prisons across the world, I’ve yet to find a jurisdiction without any segregation cells. Indeed in many countries, including England, Wales and New Zealand, whose use of solitary confinement and instruments of restraint I was invited to review in 2016/17, I found that solitary confinement practices were widespread and overused. The fact remains though that human beings do not belong in isolation. Solitary confinement is damaging to us as social beings. There is a wealth of research evidence that shows it is particularly damaging to those with pre-existing mental health needs and histories of trauma and abuse. It is also particularly damaging to children and young people who are still developing mentally, physically, neurologically, and socially. The growing body of evidence on the adverse health effects of solitary confinement is increasingly reflected in international human rights and other standards. The recently (2015) revised UN Nelson Mandela Rules, which set out the latest thinking and international human rights standards on prisons and the treatment of prisoners, dedicate an entire section to solitary confinement. As well as defining what constitutes solitary confinement and prohibiting its prolonged use (defined as longer than 14 days), the rules list who should be excluded from solitary confinement altogether. This list includes people with mental illness, pregnant women, breastfeeding mothers, and children. Professional bodies as diverse as the US-based National Commission on Correctional Healthcare and the UK-based Royal College of Psychiatrists agree. A position statement issued by the former in 2016 calls for the complete exclusion of “juveniles, mentally ill individuals, and pregnant women from solitary confinement of any duration”. A joint statement issued by the UK-based Royal College of Paediatrics and Child Health, Royal College of Psychiatrists and the British Medical Association earlier this year notes the “profound impact” which solitary has on health and wellbeing, and recommends that “the use of solitary confinement on children and young people in the youth justice system is abolished and prohibited”. Reports like All Alone, the 2017 report of the Royal Commission into the Detention and Protection of Children in the Northern Territory, a recent report by the NSW Inspector of Custodial Services and the ombudsman’s investigation are a timely call for Corrections Victoria, and indeed the whole of Australia, to be part of that international trend. Solitary confinement is the deep and dark end of the prison system – the publication of good data and an independent inspection regime are key to shining a light on it. Alternatives to solitary confinement must be sought for dealing with challenged, and challenging, individuals, and in particular with children and young people and those with disabilities in our prisons. Where a short spell away from the prison community at large is deemed unavoidable, once all other avenues have been tried and failed, care must be taken to ensure temporary separation does not entail soul crushing isolation in a small, poorly designed and austere looking cell, with few things to occupy the mind and limited access to human company. Human beings do not belong in isolation. 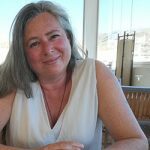 About the author: Dr Sharon Shalev is an international expert on solitary confinement practises and research fellow at the centre for criminology, University of Oxford. Dr Sharon Shalev is a research fellow at the centre for criminology, University of Oxford. Great article. It is essential to remind and keep pressure on governments (local, state and federal) to heed appropriate professional research and for ombudsmen and the public to be fearless and relentless in pursuit of these outcomes to protect human rights.